Our Baby Socks are so insanely adorable and tiny, they make the perfect night-before-the-baby-shower gift! Sized from newborn to 1 year-old babies, use this Baby Socks Pattern to make an heirloom set of top-down socks that covers baby’s feet throughout his or her first year. 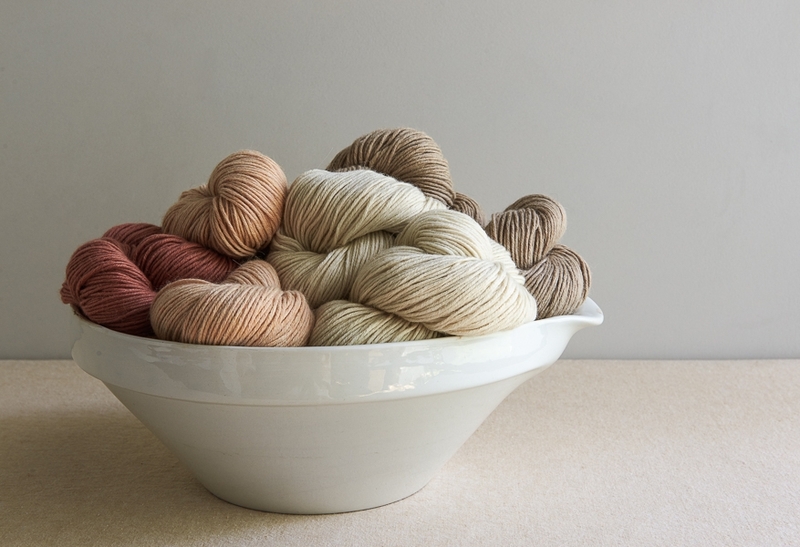 One incredibly soft skein of Season Alpaca makes 4 or even 5 pairs of Baby Socks. Please click Product Details, above, for more information about materials, gauge, and sizes. NOTE: This same pattern is featured in Joelle Hoverson’s More Last Minute Knitted Gifts. If you own that book, just follow the directions as given, using Season Alpaca instead of the recommended yarn. If you don’t have the book, we’re sad to report that it is no longer in print but happy to say this Baby Socks Pattern is! 1 skein of Purl Soho's Season Alpaca, 100% baby alpaca. We used the colors Heirloom White, Peony Pink, Pink Taupe, Baby Fawn, Dove Gray, Lavender Moon, and Peach Stone. These are enough materials to make 4 or even 5 pairs of Baby Socks! Crystal Palace’s Double Pointed Bamboo Knitting Needle Set is the perfect addition for this pattern! This Set of 6-inch double pointed needles ranges in size from US 0 (2 mm) through US 8 (5 mm). Click Add to Basket and never be without the dpn you need!